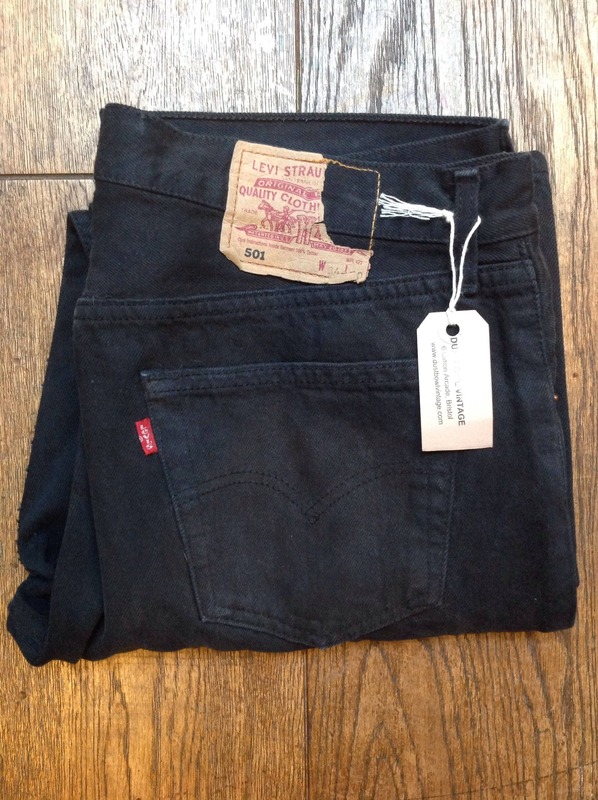 Vintage Levi Strauss Levis black 501 denim jeans button fly red tab small e workwear made in USA 32" x 29"
A pair of black Levi 501 denim jeans. 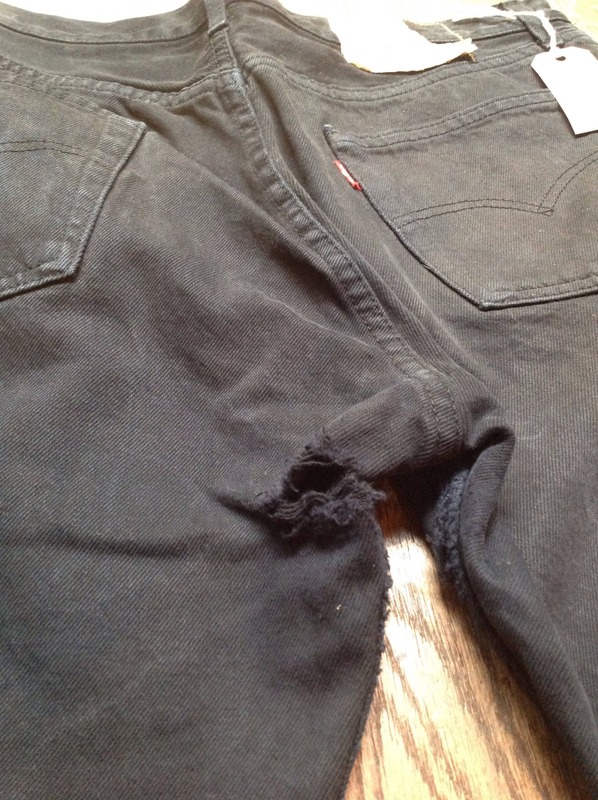 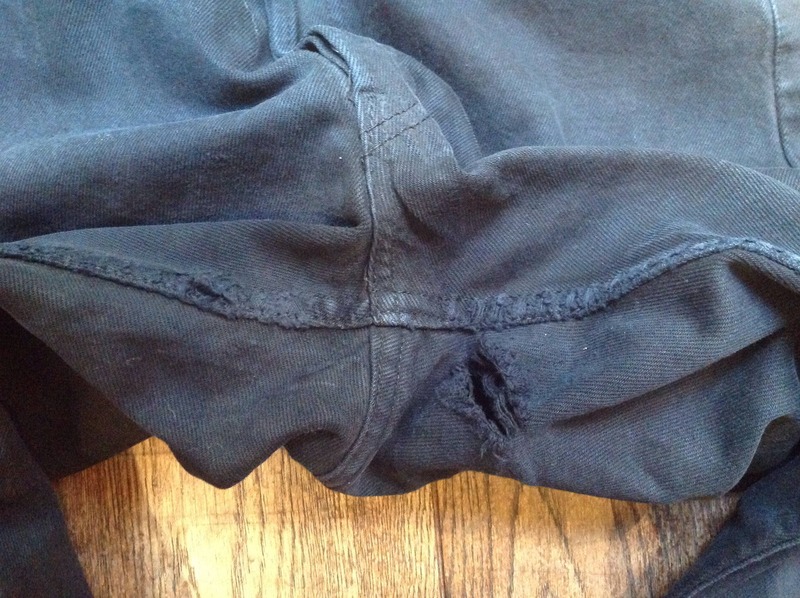 Noted flaws - frayed hole in the crotch - please see photos. 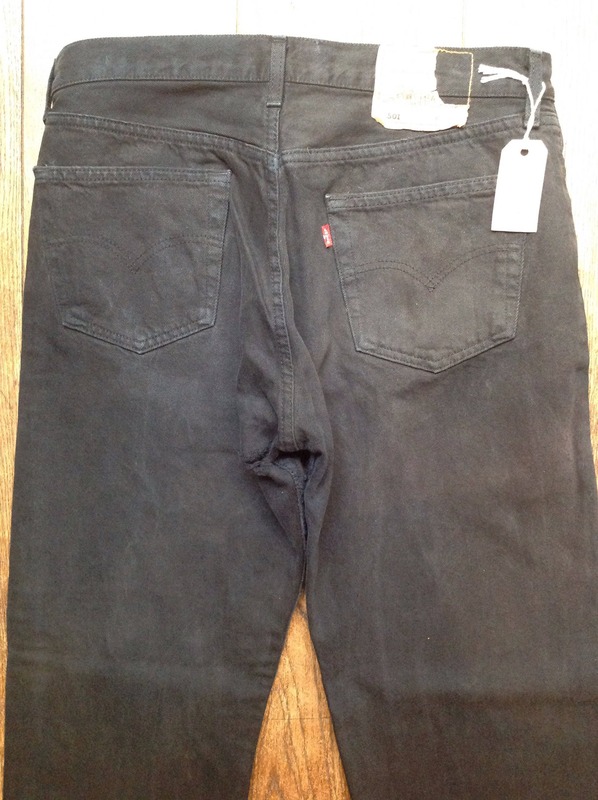 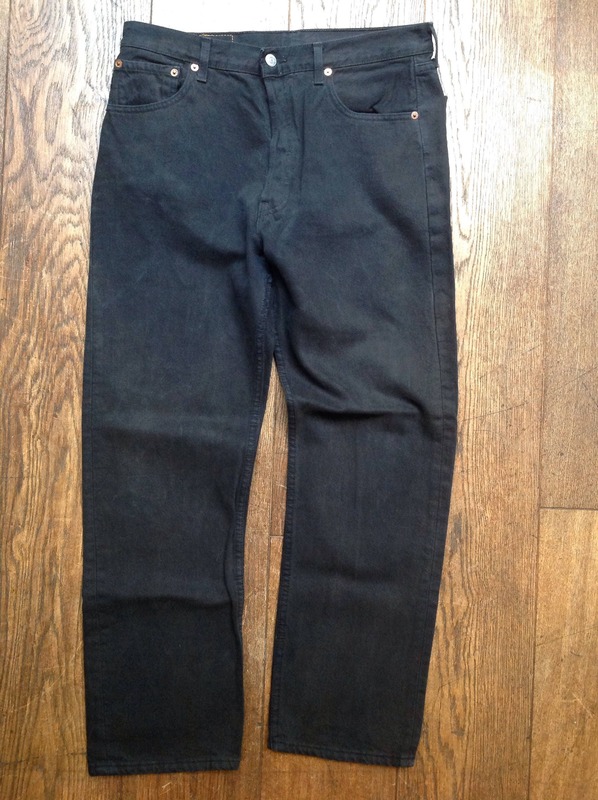 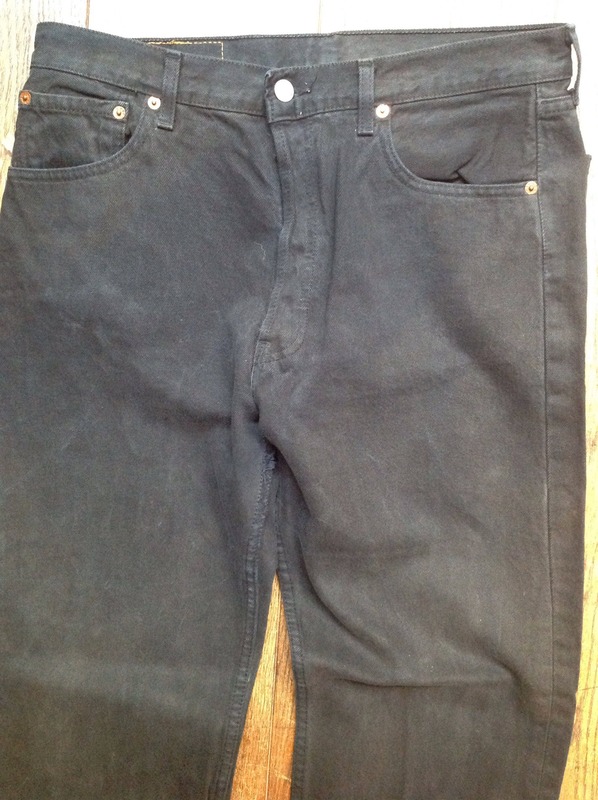 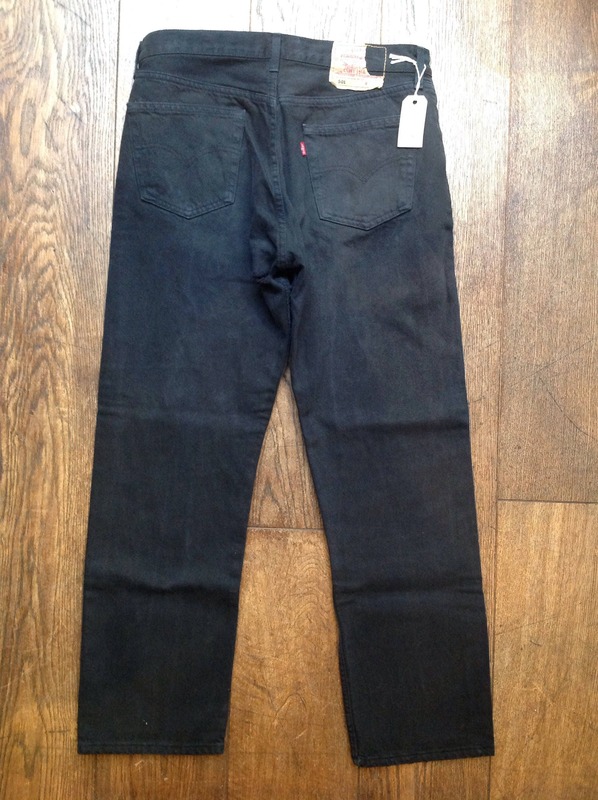 Classic, button fly 501s, made in USA, black denim (not overdyed), soft fabric, small e red tab. 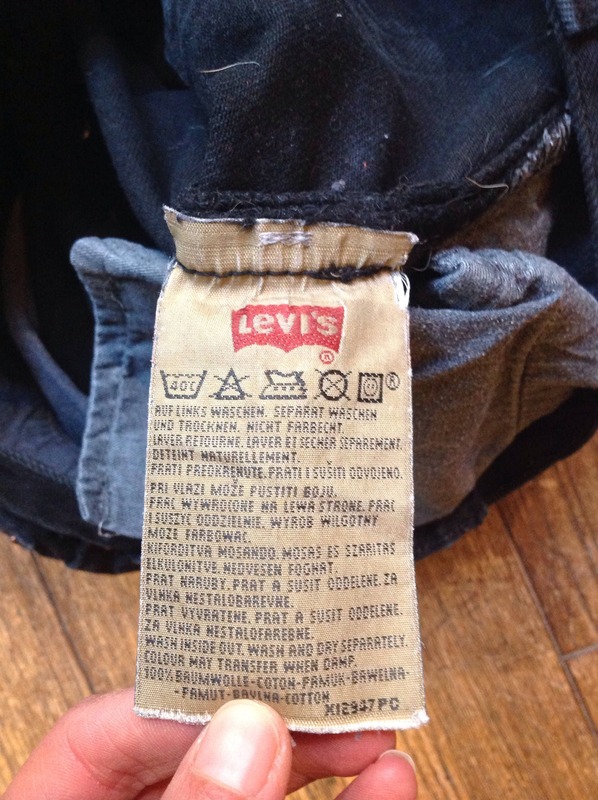 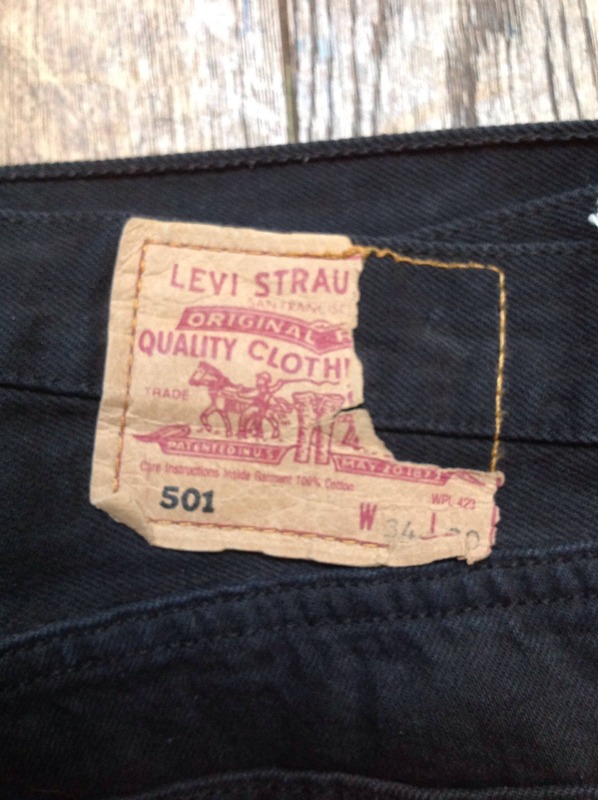 Measurements are what they actually measure - not what is stated on the tag!